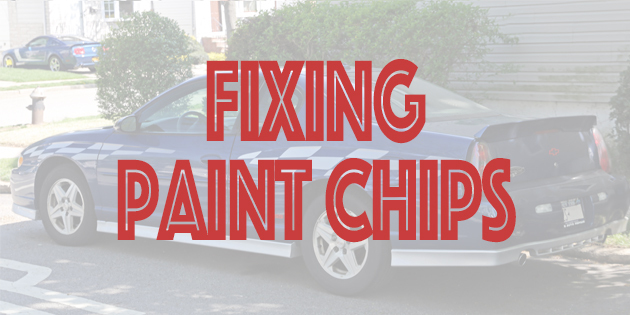 Your car’s paint may look faded or dingy over time due to wear and tear. A DIY paint job is a great option to revamp your car without spending big bucks. However, spray painting a car requires technique, appropriate weather conditions and most importantly, a lot of free time. Let this article be your step-by-step guide on how to spray paint your car and make it look as good as new car in no time. 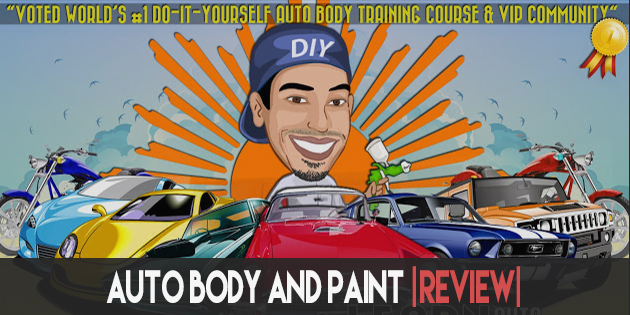 We recommend the Learn Auto Body And Paint course before attempting to paint your car. Read our review HERE. Here are some materials you’ll need in order to spray paint your car. The amount of paint needed depends entirely on the size of the car. If you have a medium or small sized car, you will need at least one gallon of primer or base coat, three gallons of top coat and about 2-3 gallons of clear coat lacquer. You’ll need more paint for a large sized car – approximately 1 ½ gallons of base coat, four gallons of top coat and 3-4 gallons of clear coat lacquer. Professional spray painters use less paint than the amount mentioned above, but if you’re spray painting your car for the first time, you will have to do some practice runs and make corrections if any. Also, it’s better to have more paint than too little. To match the original color of the car, check the color code found on the compliance plate. The ideal place to carry out the paint job is shed. However, if you’re going to work outdoors, clear out the working area and hose down the area to remove any dust and other contaminants that may get mixed into the wet paint. Next up, wash your car and clean away any grim, dust or grease from the exterior. You may have to strip the car down to its bare shell if you decide to paint details like the trunk, inner doorsills, engine bay, etc. If looking to improve the exterior only, simply mask away the areas you don’t want to be painted. Always remember to wear protective gear and switch on the dust extractor. Use circular motions to sand away the surface. You may have to manually sand the corners and crevices. To achieve the perfect finish, strip the entire car back to bare metal. This will be a time consuming task but it will make a world of a difference to the end result. Each panel may take up to 2 hours to complete. If you are pressed for time, just make sure you get a smooth, even surface to work on. Once you have stripped off the original paint off the surface, clean away the any residue and dust using thinners. To prevent over-spraying, mask away any areas you don’t want to paint with newspapers or plastic sheets. Follow the paint instructions and mix the primer with thinners in the recommended ratios accordingly. Practice the painting technique several times before you actually start spray painting the actual surface of the car. Hold the spray gun steady about 6 inches away from the surface and spray using a side-to-side sweeping motion. Remember, only apply the trigger when you move the spray gun. 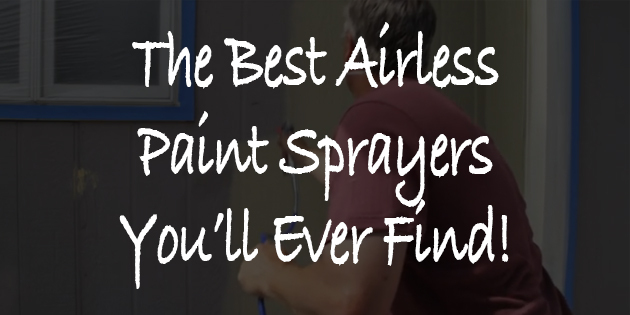 Holding the trigger continuously will lead to uneven splotches because the paint will be thicker in the spots where you change the direction of the spray gun. Start applying the primer, working from the roof down, panel-wise. Apply at least 2-3 coats evenly to cover the surface completely. Once the surface is primed, it will have a powdery finish. Use a wet and dry 2000-grit sandpaper to smooth the surface and give it an even finish. Then use a dampened rag with thinners to wiped down the primed surface and clean your spray gun as well. When cleaning the primed surface, try not to use too much thinner as it will strip the primer back. Here comes the most important part – spray painting the body of the car. Use the recommended ratios to mix the paint with thinners. Start off by applying the topcoat paint with the same technique you learnt previously. It takes about ten minutes to apply a single coat of paint onto the panel. For best results, wait for at least an hour for the paint to cure. Refer to the instructions printed on the paint can and apply approximately 3-4 coats. Remove all powdery residue before applying the final coat using a 2000-grit wet and dry sandpaper. Once the application of the top coat is complete, finish with clear-coat lacquer for a shiny look. Carefully remove the masking off the freshly painted surface and inspect the completed job for any imperfections. If you find any mistakes, respray the area after sanding the affected area. Let’s take a look at the seven most common spray painting mistakes that people usually make and how to avoid them. Cracked paint looks similar to a reptile’s skin. The newly painted surface may look wrinkly and crackled. This usually happens if you add too much activator or hardener or have the wrong type of hardener. Excessive humidity or heat may also cause imperfections like cracking on the painted surface. The only way to fix this problem is to sand out any imperfections and respray the affected area as neatly as possible. Another common problem that appears when the paint job is completed is the dried paint looks like an orange peel. Improper use of reducer or applying too much paint in a concentrated spot prevents the paint from spreading out evenly, making it look like an orange peel. Sometimes inefficient pressure at the tip of the spray gun may also be the reason behind this problem. To correct this mistake, make necessary readjustments to the spray gun settings and repaint the affected area after sanding out the dried paint film. Soon after application, you may find small craters throughout the paint film resembling fish eyes. There is only one reason why this usually happens – it is because of contamination found in the substrate in the form of oil, water, wax or grease during the initial preparation process. You can eliminate fish eyes by sanding out the dried paint film and reapplying the paint mixed with fish eye eliminator. Flaking or peeling of dried paint usually happens when delamination has occurred. This is because the dried paint no longer adheres to the substrate. Flaking or peeling is usually a sign of improper surface preparation. Delamination may occur if you’ve left out some rust spots, surface irregularities or simply failed to abrade the substrate properly. Sometimes, paint that has been applied too thinly also tends to crack and peel eventually. If the affected area in question is relatively small, simply peel away the paint and respray the paint as you would during a spot repair. You may have to sand away the entire area and re-do the paint job if you have a larger problem area to fix. If a nice matte finish is what you’re aiming for, that’s great. However, if your paint is not giving you the bright glossy finish you had in mind, here are a few possible causes. Absence of glossy finish may be due to insufficient application of clear coat or due to excessive film thickness. The finished paint film also tends to lose its glossiness if you use the wrong grade of reducer or do not leave sufficient time in between multiple coats. The best way to solve this problem is to let the paint cure and then polish the surface to restore the gloss. Poor hiding is another common problem that you may face after a DIY paint job. Although automotive paints a designed for opacity, poor hiding creates variances in the freshly painted surface and makes the previously coated material visible through the finished paint. Since reducers are completely transparent, using too much reducer reduces the opacity of the paint. Using wrong primer color may also be the reason behind poor hiding. For instance, a lighter shade of primer can easily be covered by a white automotive paint instead of darker shades like black or grey. To achieve the desired result, simply continue to apply properly reduced paint material till the primer is no longer visible. Using the right spray painting technique will save you endless hours of hard work and effort that you may have to put in, to cover up mistakes. Here are 7 professional spray painting techniques that will help you step up your game. – Try to disassemble all parts of the vehicle that you need to paint until you are comfortable using a spray gun. This is especially important if you only wish to paint your car’s bumper or a single panel. If you are unable to remove the parts, avoid overspray in areas that do not need to be painted by taping them off. Remember to use painter’s grade of masking tape that will not damage the overall finish of your car. – Preparing the surface to be painted prior to starting the paint job is essential. Carefully remove all scratches from the surface of the car using a sandpaper. Bear in mind, the more time you spend prepping the surface, the easier spraying the car will be. Start off by using a low 80-300 grit sandpaper and then finish the prep with a 2000-grit wet and dry sandpaper. – The one big blunder that most inexperienced car painters make is that they try to spray paint the entire car too quickly by spraying heavy coats of paint. The best technique is to spray several light coats instead of a single heavy coat of paint. This usually results in uneven texture, paint build up and orange peels. – Practice makes you perfect. This statement holds especially true when it comes to spray painting your car for the very first time. Hold the spray nozzle at least 10-12 inches away from the surface of the car and begin to spray with short, even strokes. As a rule of thumb, remember to only spray in one direction to maintain evenness – from back to left, not up and down. – If you ever leave any area in the middle unpainted, do not panic or break the rhythm. Simply continue to paint other areas and just wait until you apply the second coat to that unpainted. area. – A DIY paint job is time consuming. Let each coat of paint dry completely before you spray on the second coat. Not leaving sufficient time to dry in between multiple coats will lead to flaking or peeling of paint. For most type of automotive paints, you should at least wait for 20-25 minutes in between coats. – Correct mistakes before continuing the paint job. If you make a mistake, address it immediately before you spray the second coat of paint. Sand away any paint buildups or runs and then apply a fresh coat of paint for flawless results. 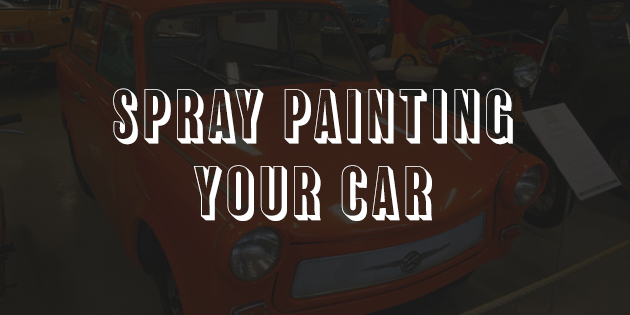 We hope you find the tips and tricks mentioned in this article useful when you spray paint your car. As a bonus, check out the video above for more tips.